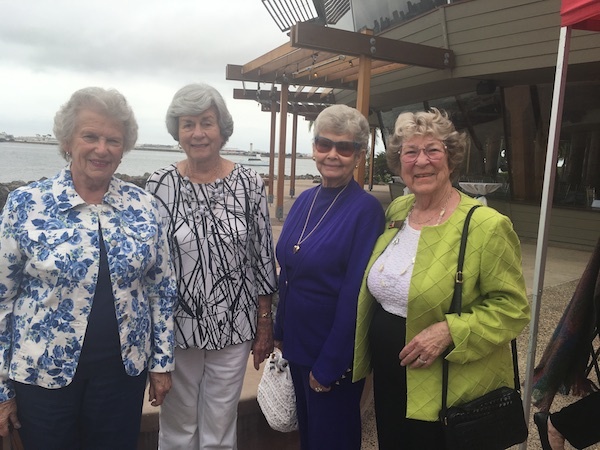 “Shine, Wine and Dine” at the Navajo Canyon Republican Women’s annual fundraiser and Fashion Show Oct. 10 from 11 a.m. to 2 p.m. at the Bali Hai Pavilion, 2230 Shelter Island. The bayside setting is perfect for a social hour and extensive luau buffet. Opportunity Baskets will include a Mystery Box, Pot of Gold (full of lottery tickets) and an assortment of discounted restaurant gift cards. We’ll have a “road show” (silent auction) of Halloween, Thanksgiving and Christmas items to brighten up your holidays. The Fashion Show will be presented by Glamour Girlz with our own members as models. The styles will be available for purchase as well as a large assortment of fashion accessories, jewelry and gifts. We are so pleased that long-time friend Monica Zech will be our emcee. Cost is $40 per person and reservations are required. RSVP to NCRWF99@gmail.com (please put FS on subject line) or call 619-990-2791. You can mail checks to Navajo Canyon RWF, 2295 Needham Road #4, El Cajon, Ca. 92020. Registration will begin at 10 a.m. and the grand finale will be a drawing for $100. A portion of the proceeds will benefit the Warrior Foundation Freedom Station. The Fashion Show is always a highlight of our year and we hope you’ll join us. Those who were able to join our sold-out luncheon with KFMB radio host Winterble were so glad they did. He related great stories, especially as Rush Limbaugh’s Mr. Snerdley, and shared his thoughts on current events. We’ll be back at The Brigantine in La Mesa Tuesday, Nov. 14, for our regular luncheon. Details for our speaker are not yet set, but it looks to be a very substantive discussion of California’s future. For more information on all our activities, visit us at our website, navajocanyonrwf.org. —Judy McCarty is publicity chair of the Navajo Canyon Republican Women, Federated. Reach her at jmccarty@cox.net.